EMBRACE THE DIFFERENCE A LOCATION CAN MAKE. Welcome to Rock County, Wisconsin. Here, you can leave the hustle-and bustle behind for a more casually paced lifestyle where less time is spent stressing, and more time is spent living. Located in South Central Wisconsin, on the Wisconsin / Illinois border, Rock County is truly Wisconsin’s Front Porch. Its central location makes Rock County a short drive from Chicago and Rockford, Illinois, as well as Milwaukee and Madison, Wisconsin. 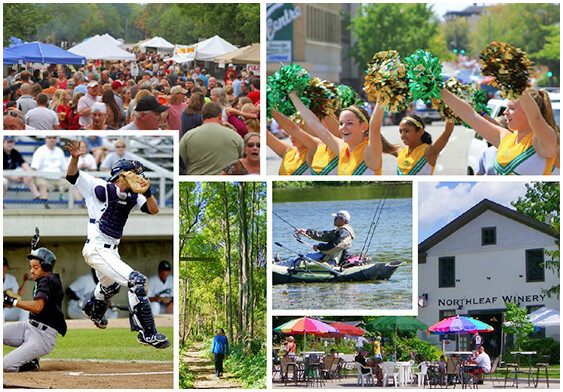 Whether looking for that fresh start or an opportunity to come back home, consider Rock County, Wisconsin. So, whether you are coming to the area for the first time or planning a return visit, Rock County extends its warmest welcome. We hope you enjoy your stay and find as many good things to say about it as we have. Why Should You Consider Rock County?